On February 3rd, nearly 400 individuals gathered at Book Passage in Corte Madera to hear celebrated Bay Area author Abraham Verghese read from and discuss Cutting for Stone (Vintage, $15.95), his equally celebrated novel about twin brothers born of a secret union. At its heart is Verghese’s reverence for the practice of medicine (the author is a medical doctor) , as well as his compassionate understanding of the human condition. The term “sweeping epic” perfectly describes this amazing novel. The narrative covers five decades, four continents, civil war, politics, betrayal, redemption and a touching love story. The unbreakable bond of twin brothers as they are divided and face worlds of conflict allows the reader a window to the myriad meanings of family. Cutting for Stone is this year's One Book / One Marin selection. And for the next couple of months, readers throughout the county will be reading Verghese's vivid and wildly imaginative masterpiece. One Book / One Marin 2011 culminates with a reading and discussion with the author at Dominican University of California on Wednesday, April 27 at 7:00 pm. 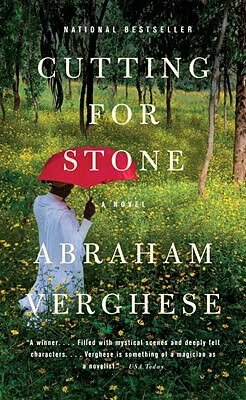 Copies of Abraham Verghese's Cutting for Stone can be purchased at our store, or online by following this link. 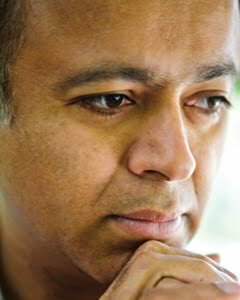 About the author: Abraham Verghese is Professor and Senior Associate Chair for the Theory and Practice of Medicine at the Stanford University School of Medicine. He was the founding director of the Center for Medical Humanities & Ethics at the University of Texas Health Science Center, San Antonio, where he is now an adjunct professor. He is the author of My Own Country, a 1994 NBCC Finalist and a Time Best Book of the Year, and The Tennis Partner, a New York Times Notable Book. A graduate of the Iowa Writers’ Workshop, he has published essays and short stories that have appeared in The New Yorker, The New York Times, The Atlantic Monthly, Esquire, Granta, The Wall Street Journal, and elsewhere.